In this debut novel, 33-year-old Addie Lockwood bears and surrenders for adoption a son, her only child, without telling his father, little imagining how the secret will shape their lives. 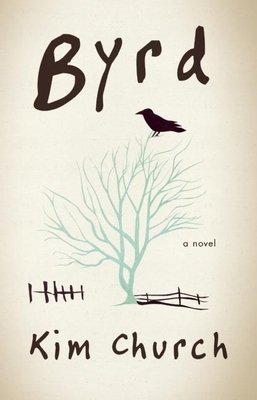 Through letters and spare, precisely observed vignettes, Byrd explores a birth mother's coming to make and live with the most difficult, intimate, and far-reaching of choices. Kim Church's stories have appeared in Shenandoah, Painted Bride Quarterly, Flash Fiction Forward, and elsewhere. A Pushcart Prize nominee, she has received fellowships from the North Carolina Arts Council, the Virginia Center for the Creative Arts, the Millay Colony, and Vermont Studio Center . She lives in Raleigh, North Carolina with her husband, artist Anthony Ulinski. Byrd is her first novel. Why do you think Addie chooses not to keep her son? Do you think she makes the right choice? Why or why not? What do Roland and Addie represent to each other? What is Elle’s role in this story? Dusty’s? What does William Glass represent to Addie? How does he change her story? One recurring theme is how little people actually know about one another. What critical pieces of information are these characters missing about each other? What critical information are they missing about themselves? In what ways do secrets shape the story? What does motherhood mean to the characters? What does fatherhood mean? Most of the novel’s settings are real places—except for Carswell, North Carolina. Why do you think the author chose to fictionalize Addie’s hometown? The story is written largely in present tense. What effect does that have? What do books signify for Addie? How does this change over time? What is the role of art—in its broadest sense—in the lives of the characters? Like a song or poem, the novel contains repetitions of certain phrases, images, and events. What repetitions do you notice, and what is their effect? One point of view notably missing from the book is Byrd’s. What is the effect of that omission? Flash forward: where do you envision each of these characters five years after the final scene?